When a year’s worth of work comes closer to fruition over a such a short period, it’s hard to take time and absorb the good news. This is especially true when it’s better than expected. Nonetheless, that is what we were faced with in the latter part of the first full week in January, 2014. And on a Sunday afternoon in my quiet office in downtown Sacramento, surrounded by more tree species than I know by name, I am taking the time and absorbing the good news. Not a bad way to start the morning. Wednesday at Noon – Multiple leaks on the Governor’s proposed 2014-15 State Budget have hit the papers, and several colleagues are blogging about the proposed cap-and-trade revenue expenditure plan, and its inclusion of urban forestry. But no further details. How much, and does it go through CAL FIRE? Optimism is building around what will unfold on Friday. Wednesday at 5:00 pm – The Governor’s Full Budget Summary as proposed for 2014-15 is leaked by the Sacramento Bee. To the delight of everyone at California ReLeaf, the summary highlights a proposed allocation of $50 million to CAL FIRE for a variety of forestry-related purposes, including urban forestry. 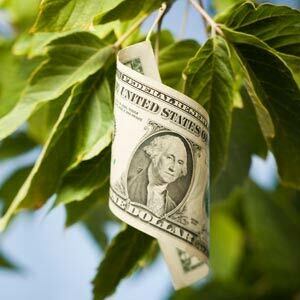 Though there is not a yet a breakdown of how much of the $50 million will go to urban forestry, there is now certainty that, if this aspect of the State Budget holds through June, the Urban and Community Forestry Program will be funded once again. This is the news we’ve been working towards for 12 months. And not just us. The ReLeaf Network. Our conservation coalition friends. Our sustainable communities partners. And our environmental justice colleagues. For a year, all of them embraced, and none of them faltered from, the clear, distinct and unified message of supporting urban forestry with cap-and-trade auction revenues through CAL FIRE’s Urban and Community Forestry Program. Thursday, January 9th at 9:00 am – The Governor officially unveils his Budget Summary a day early, and schedules stakeholder calls beginning at Noon to discuss specific sector allocations from transportation to environmental protection. Though these calls don’t reveal much, we now know the allocation for urban forestry should be significant, and a 5-year old loan of $5 million against the Environmental Enhancement and Mitigation Program will be paid back in 2014. More unexpected good news. Thursday, January 9th at 4:00 pm – The detailed 2014-15 State Budget blueprint goes online and reveals that the EEMP is proposed to be funded at the record-high level of $17.8 million due to a combination of occurrences that include repayment of the loan and the delay in getting 2013 funds allocated due to programmatic changes via legislation signed late last year by Governor Brown. While the news is exciting on its own, we also are aware that those dollars will now be used to fund only resource lands and urban forestry, as trails and parks will be taken care of through the new Active Transportation Program. The timing for such a large influx couldn’t be better. Specifics on urban forestry dollars through cap-and-trade will come later, but the proposed budget also reveals $355 million to schools and community colleges for Proposition 39 implementation, and $9 million that didn’t go out last year for urban streams. There are no done deals here. And much work is still to be done. But at this time in 2013, there was no funding for urban forestry, the Governor proposed to eliminate the EEMP, and urban forestry wasn’t even on the water bond radar. What a difference a year makes. California ReLeaf applauds Governor Brown on these budget proposals, and Assembly Member Rendon for his vision of a water bond that recognizes urban forestry as an essential element to meeting California’s water needs. And if you’re one of our many NGO partners that helped drive this train to its current destination, take time to absorb the good news. How often is it truly better than expected?